When President Theodore Roosevelt signed the Hay-Bunau-Varilla Treaty with Panama in 1903, the United States gained sovereignty over the portion of the newly formed country of Panama which would become the Panama Canal, a modern-day marvel that revolutionized international shipping and solidified America as a global power. While the benefits to the U.S. were enormous, the politics surrounding the Canal and the treatment of Panamanians themselves engendered profound social repercussions that persisted for more than half a century. On January 9,1964, grievances between native Panamanians and “Zonians”, or Americans residing within the U.S.-controlled Canal Zone, boiled over into a series of anti-American riots which resulted in an evacuation of the U.S. embassy in Panama City, widespread looting, and dozens of deaths. Most importantly, this uprising, honored annually in Panama as Martyr’s Day, eventually led to a renegotiation of the original 1903 treaty and is commonly remembered as the beginning of the end of American hegemony over the Panama Canal Zone. Arnold Denys, Stephen Bosworth, and Donald McConville each served in Panama in some capacity during the riots. They recount the terrifying experience of evacuating an embassy and being placed into the thick of a highly hostile situation. Bosworth and McConville were interviewed by in February 2003 and February 2001 respectively, and Denys’ account comes from a personal diary that he kept while serving abroad. Learn more the fight to ratify the Panama Canal Treaty, which occurred 13 years later, the 1989 U.S. invasion. Go here for other Moments on Western Hemisphere affairs. BOSWORTH: In Panama in the early 1960s there was only one issue and that was the control of the Panama Canal Zone. In fact I went to Colon in July of 1963 and in January of 1964 there was an explosive series of riots all along the Canal Zone in Colon and in Panama City. In Colon my first wife and I were living above consular offices so when the mob marched on the consulate they actually marched on us. There was longstanding resentment on the part of the Panamanians, particularly the nationalists, because the United States had basically taken the Panama Canal Zone and built the canal. So, it was a question of wounded nationalism. 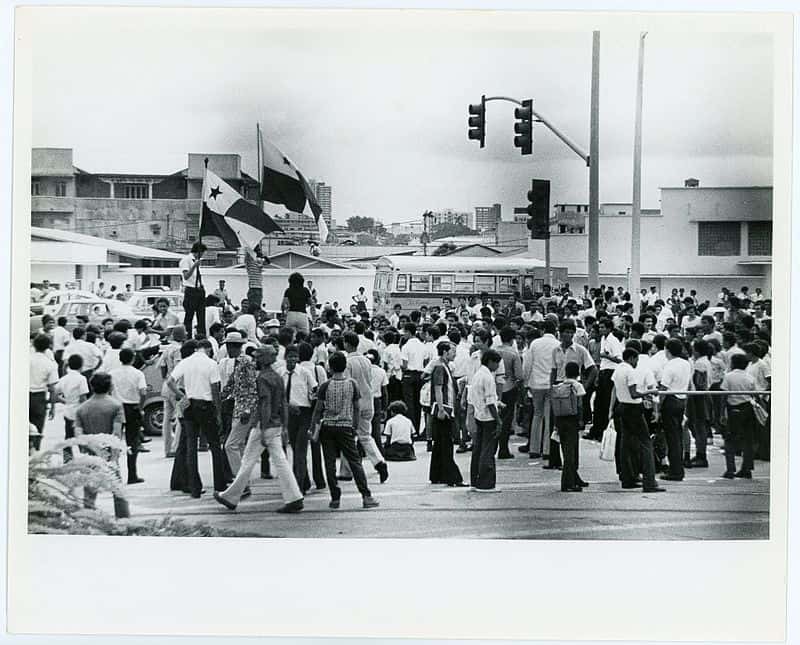 Generations of Panamanian students had come forward dedicated to the proposition of reasserting Panamanian sovereignty over the Canal Zone and the particular spark for these riots was a demonstration by American students in the Canal Zone. There had been an agreement I think in 1960 or ‘61 that the Panamanian flag would fly side by side with the American flag in the Canal Zone. These American students at the Canal Zone high school sort of had a fit of American nationalism and became upset with this and they sort of marched on and lowered the Panamanian flag in the Canal Zone. We were in Colon. The National Guard finally moved the mob back away from our building and my wife and I and our small young son were trapped inside. They finally got the mob dispersed. They were throwing stones through the windows and all of that. We then were driven out of Colon into the Canal Zone by the number two in the National Guard. He put us in the back seat of the car and covered us with a blanket. They drove us across the line into the Canal Zone. There was a lot of violence going on, sniping, and there had been several deaths. It was not a pleasant time. We remained in the Canal Zone for about a week. The rioting finally was quieted down. There was a sort of truce established between Panama and the United States but they broke diplomatic relations with us and we kept in our embassy in Panama City, we kept a very small presence. However, there were several thousand families in the Canal Zone. Many of them had been there for two and three generations. They operated, administered, and maintained the Canal, which at that point was a very important waterway. Many of them had become very inward looking, very chauvinistic, and did not like Panamanians or Panama. Many of them had lived in this ten-mile wide strip of land for nearly their whole lives and had never set foot in the Republic of Panama. They were an extraordinarily inward looking lot and they recognized, rightly as it turned out, that it was a zero-sum game between them and the Panamanians. Anything the U.S. gave up with regard to sovereignty over the Canal Zone was a loss to them. They were American colonials. 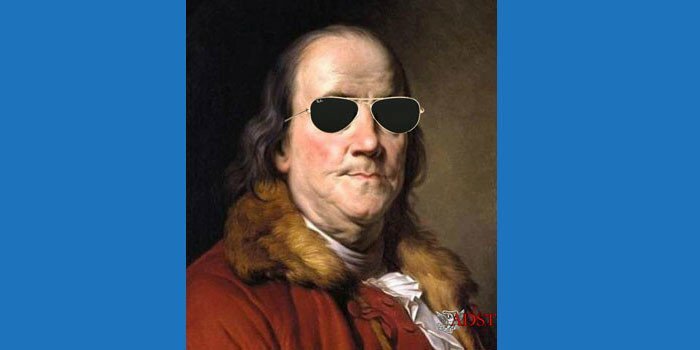 In fact, they were in this little American enclave, very well paid, lived very well, very generous fringe benefits and they recognized that as the Panamanians took control of the Canal that they would lose. DENYS: When I returned to Panama on New Year’s Eve I did not realize that January 1964, would prove to be an ominous period in U.S.-Panamanian relations. On January 7, some American students from Balboa High School, in the Panama Canal Zone, raised the American flag in front of their school. 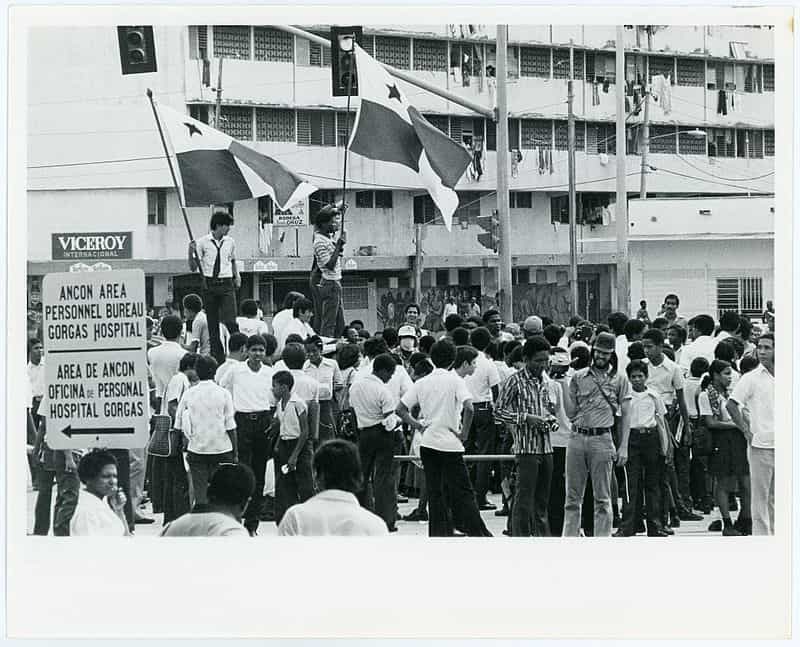 Two days later, Panamanian students organized a protest march. They entered the Canal Zone, caused property damage, and had a confrontation with the Canal Zone police. This, my first Foreign Service crisis, started at four in the afternoon on January 9, and spread throughout Panama City and Colon. It did not reach its climax until midnight. I had gone to bed early that evening, and at 1:15 a.m. I was informed that a revolutionary riot had broken out and that I was in danger. The Embassy had been stoned by a huge mob, and the USIS [U.S. Information Service] Library burned down, the PAA [Pan American Airlines] office was sacked, and the Chase Manhattan Bank and the Goodyear plant were both seriously damaged. “They are burning American cars and attacking Americans in the streets,” I was told. I called my neighbor and Embassy coworker Gene Mewhorter, who lived in the apartment below me, and we moved our cars out of sight behind the apartment building. Somehow we managed to get to the office where there were about 80 members of the Panamanian Guardia Nacional surrounding our embattled Embassy. They escorted us to the Embassy Communication Center where I worked with Chargé d’Affaires Wallace Stuart for the next several hours. He was in telephone contact with President [Lyndon] Johnson and Secretary of State Dean Rusk. Secretary Rusk informed him that the government of Panama had broken diplomatic relations with the United States on January 9 and that we had to destroy classified files and prepare for evacuation. The last minutes before we abandoned our Embassy I stood next to the Chargé when he sent out our last message to the State Department. For the next few days I stayed in seclusion at the residence of our administrative officer, Thomas Huff, whose house was guarded. In retrospect, I think the Panamanian National Guard did a good job protecting our embassy and staff. The rioting ended January 12. Four American soldiers were killed and twenty Panamanian rioters were also dead. It appeared that Fidel Castro had helped the rioters with supplies and propaganda tools. Under pressure from University of Panama students, Panamanian President Roberto Chiari firmly stated that relations with the U.S. would not be renewed unless it agreed to negotiate a new treaty with Panama on the Canal. 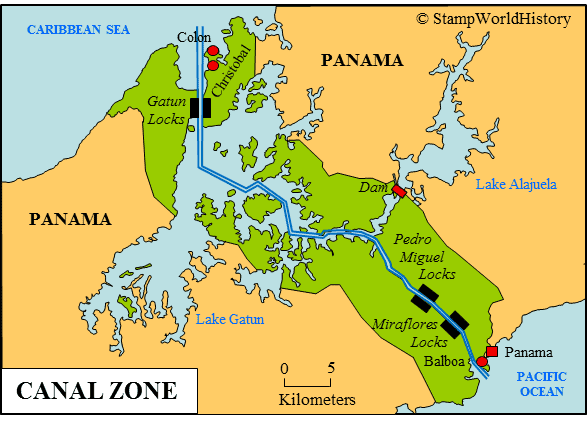 The 1903 Canal treaty gave Panama its independence from Colombia and the U.S. the right to run the Panama Canal in perpetuity. Thomas Mann, Under Secretary of State for Latin American Affairs, had been dispatched by President Johnson to talk things over with President Chiari. On January 17, we were all evacuated to the Canal Zone and I stayed nine days at the Canal Zone College. Although diplomatic relations were ruptured, consular relations with Panama were not affected. On January 19 I reported back to work and was told to conduct business as usual. We issued visas, took care of crew lists, and rendered assistance to American citizens. Consul Taylor advised us to cooperate with the public to project a positive U.S. image which, in Panama, depended on how well the U.S. Consulate would operate. It was a pressure-filled job, given the confused state of U.S.-Panamanian affairs. A few days later Consular personnel were instructed to return to their homes in Panama. We had to replace our American car plates with Panamanian plates for security reasons. All American cars in Panama were easy targets for terrorists and anti-U.S. demonstrators. For a few more weeks we continued an inconspicuous social life. The situation remained sensitive as there were strong feelings on both sides. I was very concerned about the long-range effects this crisis would have on any future relations with Panama. There were serious concerns in Panama and the Canal Zone that a coup d’état or Communist takeover were plausible possibilities. McCONVILLE: It finally erupted into a riot where Panamanians were firing into the Canal Zone, and it got very bitter. That particular week happened to be my first tour as duty officer. I was at home. I shared an apartment with another young Foreign Service Officer. We had an allowance. We didn’t have quarters; we had to find our own place. I got this call that said, “Are you watching television? Take a look.” We turned it on, and there was a riot. They were overturning cars downtown and so forth. So they told me to come into the embassy right away. I was the only junior officer, and I was there because I was on duty. There were riots all along the Canal and border there, at least in the city of Panama. 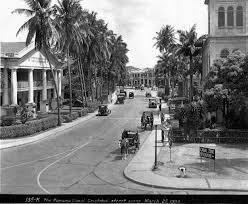 If you’re familiar at all with Panama, one of the main streets of Panama is the border with the Canal Zone. I guess that’s maybe a couple of miles away from where the embassy is located. But we were getting all these reports, and, of course, Washington’s on the phone and I was being assigned all sorts of various duties. Then sometime in the early hours of the morning, a mob came to the embassy. The embassy was the only place that the Panamanian National Guard protected. The National Guard was their police force basically, but they weren’t an army as such. They were just a police force, but they were called the Guardia Nacional. They had surrounded the embassy to protect the embassy and keep the mob away. The mob was out there and they were throwing rocks and things and Molotov cocktails at the embassy. Some of us were wondering whether we were going to get out of there that night, but the mob finally went away. The next morning the [CIA] station chief had sources that were saying that the mob was now armed and was coming back and would have arms this time. So at some point they decided to evacuate the embassy. In fact, they had already started hauling out classified documents. 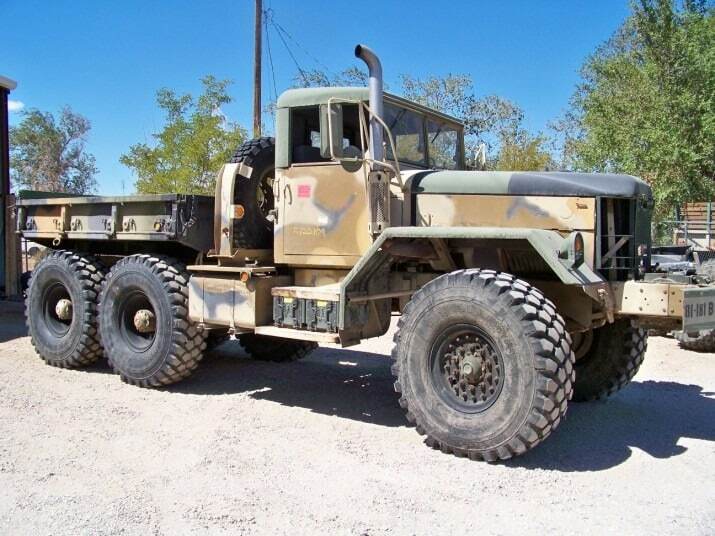 When you mentioned the troops, they did have some deuce-and-a-halfs [M35 2½-ton military cargo truck] that they had brought around to this one entrance that was being kept open to the Canal Zone. We’d been loading up classified files onto that two-and-a-half-ton truck to haul them over to the Canal Zone, and the files were jam-packed with this stuff and so forth. You know, all of those exhortations to keep your classified files limited and so forth. Like most places, they weren’t, and they had tried to start burning them, but every time they would get this incinerator going, the roof would start to catch on fire. They were in constant contact, of course, with Washington and the White House and so forth who had been telling them to burn the classified. But at some point late that morning they finally made the decision to evacuate the embassy. So we were all, those of us who were there, told to go home and stay at home and try to be careful and avoid going outside because you didn’t know what attitudes the Panamanians might have toward us. There was sort of a funny incident that had happened after I had left that morning. I think the embassy was three or four stories tall, and the Marines had cases of teargas at each level to start disbursing in case somebody broke into the building or something like that, or maybe to leave in the building if they were told to evacuate it to keep others from trying to get in. But in any event, there was some Marine who had a name that was something like “gas” and somebody had called out his name and somebody up on the third floor hollered down, “Did you call gas?” He said, “No gas,” and somebody up there started pulling these canisters out and tossing them on the third floor. So the whole third floor was full of this teargas. Now, as it turned out, at the very end – they never totally evacuated the embassy, before the last few people got out — it’s a chancery really rather than the embassy — before the last few people got out of the chancery, they changed their mind again in Washington and decided that they wouldn’t totally evacuate the place. That weekend then, the rest of that weekend, we stayed home listening to the news reports. The Panamanian government was being very jingoistic. Most of the Panamanians were actually killed in some fires that were more involved with looting and so forth, that actually may have been killed by other Panamanians who were keeping them out of their stores or something. In the Pan Am building, I think there were five of them that were caught in that fire down there. But it was headlined all over the United States. 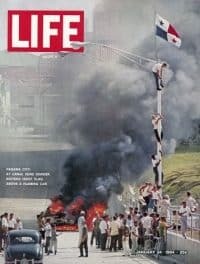 The next week Time and Newsweek had cover stories on these riots in Panama. So, it was a serious situation. But by Sunday evening my friend and I had gotten so bored being inside that we decided to venture out a bit — we had to take our chances. The more we went out, the Panamanians themselves were very friendly and courteous to us. They had a very sharp distinction in their minds between Americans and Zonians. They detested the Zonians, who they felt were always looking down on them and had mistreated them and so forth, whereas they generally tended to like Americans. Most of them had American friends, and a lot of them had gone to school in the United States and whatever. So we found virtually no hostility directed towards us as individuals. The next week the embassy operated more or less normally, but we didn’t have any classified around for the most part. It had all been hauled away. But about a week later, there had been negotiations to reach some kind of understanding between the U.S. and Panama. The Panamanians had been insisting that the U.S. would have to agree to negotiate on the Canal, to open negotiations on the status of the Canal, and Lyndon Johnson was publicly saying the United States would never agree to negotiate under threat of violence. So they finally struck some language, and they had settled on the Spanish word “discutir” — that’s the infinitive form of the verb — and it was put out. At the time it was put out, the Panamanians locally started to point out that the word “discutir” in Spanish, rather than meaning ‘discuss’, had more of an implication of ‘to argue about something’. So they in fact had gotten a commitment out of us. When we insisted that was not was intended, they suddenly announced that that was the end of the talks and they were breaking off diplomatic relations with the United States. That afternoon, in the embassy we were suddenly told to go back to our houses and apartments and pack small overnight bags and to go over to the Canal Zone. So we all then were over in the Canal Zone in some barracks and so forth over there and had all been ordered to leave Panama. We were in the Canal Zone, which after all is American territory under the terms of the Canal.